Once detained, a 48 hour immigration hold was placed on him; however, what was supposed to be two days in jail turned into three weeks for nothing more than a broken window. That is because he fell under Secure Communities. Secure Communities (S-Comm), is a federal program that has been expanded by the Obama administration to local and county police departments throughout the nation. This program has facilitated in the deportation of mass amounts of people. It has contributed to the over 2 million deportations in Obama’s first term alone, which is more than the last four presidents combined. Just like many others, once Angel was detained, law enforcement officials took his fingerprints and sent them to ICE, whereupon ICE determined his immigration status. 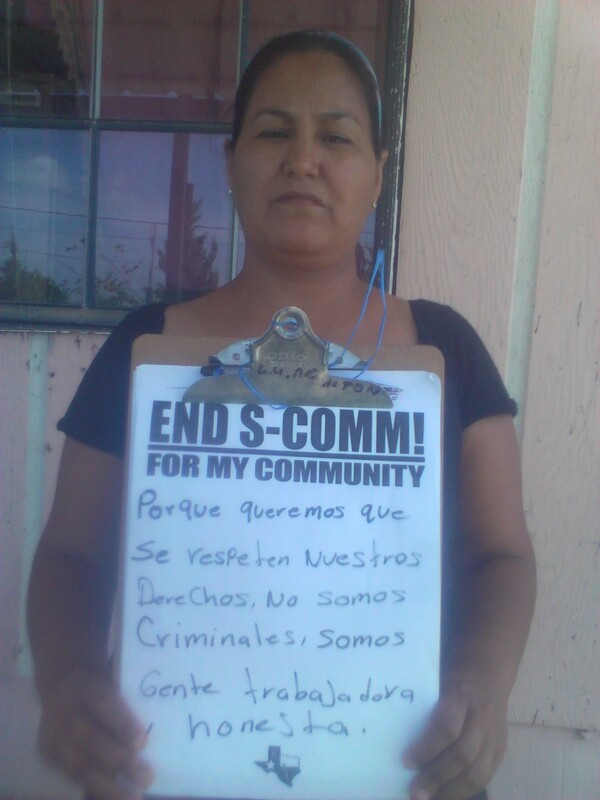 In an effort to put an end to S-Comm in Texas, the Reform Immigration for Texas Alliance has written a letter to president Obama accompanied by a written and electronic petition, and a photo petition. Anyone can write their own message to Obama and take a picture with it in order to show the faces of those who have been or have the potential to be affected by this program. Angel still awaits his court date with ICE, which will determine whether or not he will be separated from family and friends or allowed to continue studying. Brought to the U.S. as a baby, Angel may be thrown into a country and a culture that he knows little about and may never be able to see his family again just because of a broken window. We now have an opportunity to take action on behalf of Angel and people like him by signing the petition and being involved in the photo petition. Take action for Angel and people like him. Sign the petition now! Print out the “End S-Comm” sheets, take a picture with your message and e-mail it to Colbie Devost at cdevost@trinity.edu. Colbie will upload the pictures to a blog that includes photos from across the state. Thank you for your involvement in putting an end to S-Comm!